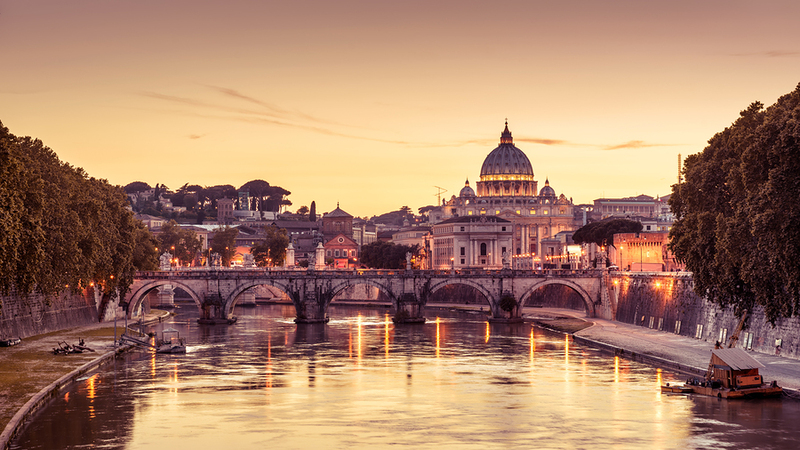 There’s no denying that you can’t miss Rome, Italy's shining capital and home to centuries of awe-inspiring history that make any return visit just as special as the first. In fact, every time I visit, I make it a point to discover some of the neighborhoods and monuments that often don’t show up on most visitor’s radar. My two-cents is that you should give yourself plenty of time, choose wisely where to stay in Rome and plan return trips to truly enjoy a city as dynamic as a place home to over 280 fountains. Keep in mind that there are a number of Rome hotels you can choose from but we say go with something in a neighborhood you can spend a significant amount of time getting to know more in-depth, like Trastevere, San Lorenzo, Pigneto or Monti. In fact, Rome has so much to see that you may disregard any day trips outside of the city for, well, the next time. However, you would be surprised in the amount of interesting destinations within close reach to Italy’s capital. Plus, it will give you a great excuse to leave the crowds and noise behind to explore charming, less frequented, history-rich small towns. Personally, I believe that to really understand the immensity of the Roman empire and influence, you must delve into Lazio to see what historical richness this region has to offer. One of our first suggestions would be to head towards the “City of Popes” Viterbo, a place that once hosted the papal seat in the 13th century, an easy hour and 40 minutes from the train station of Roma Ostiense. Northern Lazio has plenty to offer and Viterbo’s large (the biggest in Europe) medieval center is the perfect place to start exploring. Don’t miss the Cathedral of San Lorenzo and Papal Palace, and every September there is the Macchina di Santa Rosa procession, which takes place every year in September and is included in Unesco’s List of the Intangible Cultural Heritage of Humanity. Close by, there are the gardens of Villa Lante at Bagnaia and Palazzo Farnese at Caprarola. They give an insider’s look at just how Renaissance cardinals took a break from their daily duties at the papal court. We also recommend a detour to its famous hot springs, preferably Terme dei Papi (Bath of the Popes) the most famous bath structure near the city. Driving will take you 80 kilometers, or an hour and 20 minutes or an hour and 45 minutes by train. Buses can get you there quicker and can be taken from the Lepanto station. On your plane ride to Rome, towards the North you may notice a blue teardrop in the hills of Northern Lazio, with two tiny island close to its southern shore. 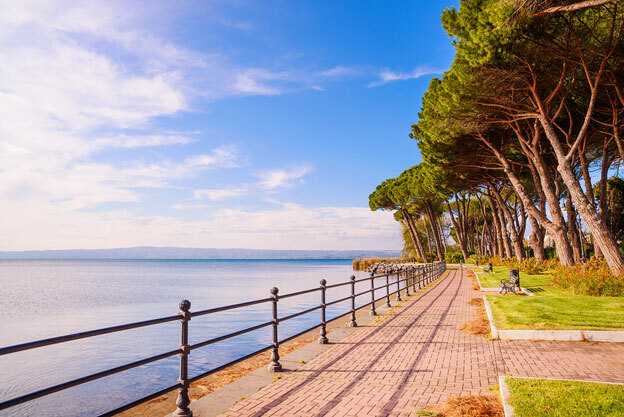 This is Lake Bolsena, Europe’s largest volcanic lake – a beautiful day-trip destination only an hour from the capital city with an attractive position encouraging human settlement since the Roman and even Etruscan times. Covering an area of 113.5 km2, it is considered Europe’s largest volcanic basin. It is Italy’s fifth largest lake and the biggest in the Lazio region. It is well known for its black volcanic sands and beaches stretching for several miles. 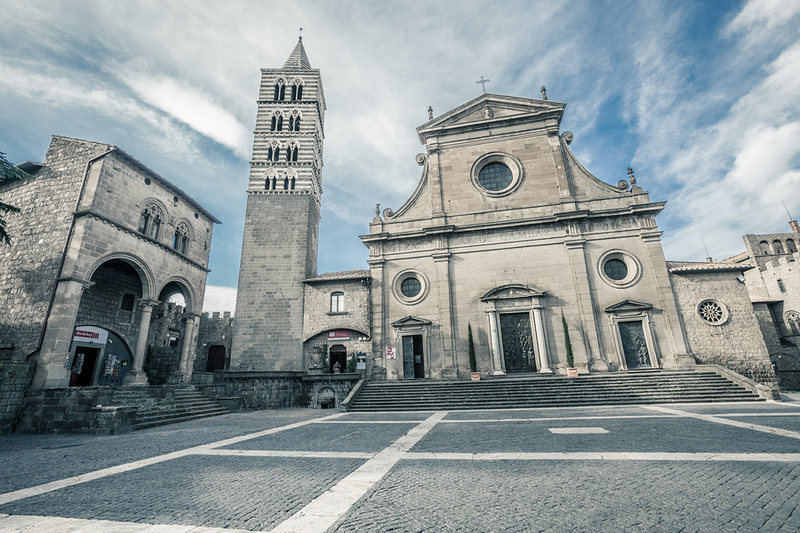 Our recommended first stop in Montefiascone, an Etruscan town along the lake with a well-preserved historical center, make sure to visit the Cattedrale di Santa Margherita to gape at one of the largest domes in Italy. While the medieval village of Bolsena the city is more than worth a wander, don’t miss a walk up to Monaldeschi, a stiff climb, but the view from the top is a reward in itself. Castello Monaldeschi, between the 12th and 14th century is home to the Lake Bolsena Museum, which illustrates the naturalistic and historical aspects of the territory. When the weather permits, go for a boat ride to Bisentina Island, a once favorite retreat of the Farnese family in the 1500s. The island was acquired in the 1900s by the princess Beatrice Spada Potenziani, wife of the duke Fieschi Ravaschieri, with her heir Giovanni Fieschi Ravaschieri later opening the retreat to the public. Lake Bolsena can be easily reached from Rome by taking the Cassia road. It can also be reached from the main A1 tollway motorway that connects Rome and Florence, by exiting at Orte or Orvieto. To reach by train, most likely you will have to travel to Orvieto first for a connection and continue to Montefiascone’s station which is a few miles from the lake. Catch a glimpse of Civita di Bagnoregio and it is hard not to be duly impressed by this imposing village craved entirely into tufa rock within a canyon that looks like a literal “island in the sky”, just 90 minutes driving from Rome. First inhabited by the Etruscans 2,500 years ago, it was later a Roman village and now boasts a well-preserved medieval center. In the 50’s Bonaventura Tecchi, an Italian writer who was born at Bagnoregio, called Civita la città che muore (the dying town) as those who lived there long left because of an earthquake in the 17th century and subsequently bringing the town into a decline. Currently, many of the original houses and structures have been restored, though it houses only a few people full-time and access to a pedestrian footbridge is at a cost of a few euros that goes towards the town’s much needed structural maintenance. Keep in mind that the end of the walkway is quite steep, so it might be considering a challenging trip for anyone who has trouble walking though it is safe to say that Civita has had quite a comeback thanks to its photogenic allure. 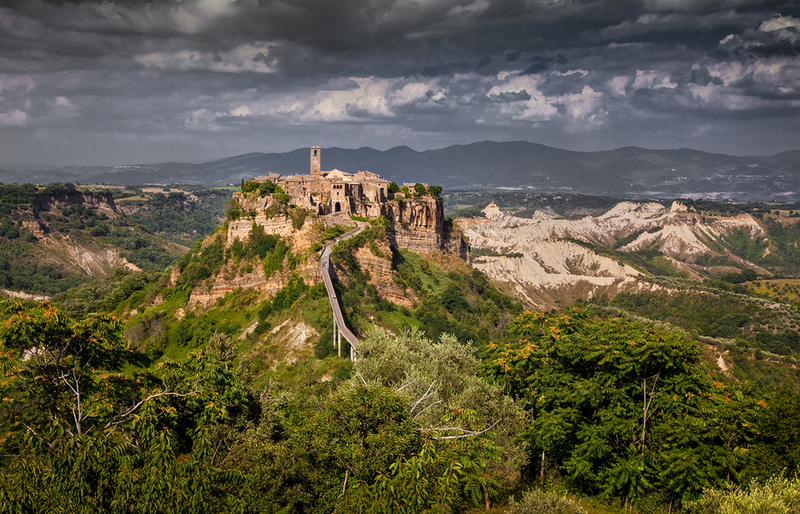 It takes about an hour and 43 minutes to drive to Civita di Bagnoregio. Alternatively, if you are travelling from Rome, take a train from Roma Termini station to Orvieto, and then the bus (from Monday to Saturday; operated by Cotral S.p.A) just outside of Orvieto station. Thus, considered once one of the most important Etruscan cities, Tarquinia is listed as a Unesco World Heritage site for the number of painted tombs in the so-called necropolis of Monterozzi and the largest known Etruscan temple, Ara della Regina. Fun fact: It was also known as Corneto until the 19th century! To explore the largest collection of Etruscan art, stop at 15th century Palazzo Vitelleschi before taking the time to find a cozy bar and people watch in the well-preserved historical center. If you’ve seen the Showtime series “The Borgias” starring Jeremy Irons as Pope Alexander VI, you might recognize the church of Santa Maria di Castello (1121–1208) as among the oldest in town. 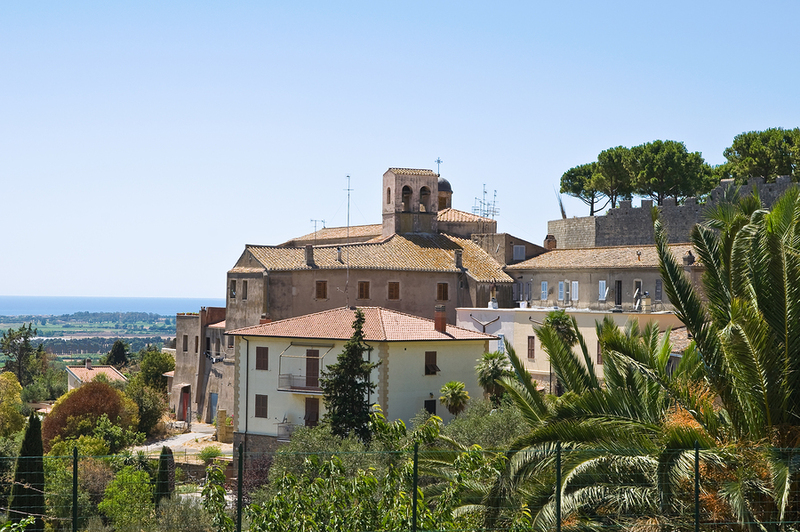 Tarquinia can be reached in an hour and 15 minutes on the regional train from Roma Termini (€5,60 each way) with a bus that will take you from the station into town, otherwise the drive will take you an hour and 25 minutes.